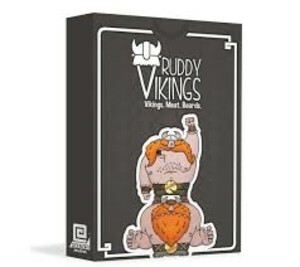 Ruddy Vikings is a strategic card game with a cartoon style and a Viking based theme. The aim of Ruddy Vikings is to destroy the cards in your opponents hand. When you lose all of your cards you lose and are out of the game. Ruddy Vikings is super easy to pick up and play and super fun for players of any age with a difficulty curve that starts simple and increases as you learn more strategies. An average game between 2 players lasts approx 5-15 minutes with games of more players lasting longer.